Hotels in Thailand dominate the list. Singapore Business Review partnered with Tripzilla, a one-stop travel portal that collates tour packages and budget flights from all major travel suppliers in Singapore, making it simple for users to search and book their trips, to bring you 20 most preferred hotels by Singapore travellers in Asia. The list includes hotels which accommodate as many as 48 monthly bookings from individuals based in Singapore. While the list is only limited to one travel portal, it hopes to have captured a significant number of Singapore travelers. TripZilla has over 250,000 visits monthly and 80,000 registered users in Singapore. Co- founder Winnie Tan shares that from 1 Jan - 30 Jun 2014, the portal received 4,352 bookings. Hence, it makes about 725 bookings per month. Singapore Business Review calls for nominations for 40 and under most promising/influential people. Do you or anyone you know at 40 and below age bracket who exhibits exemplary leadership and influence in your respective industry? Send a message to Lee Anne Babierra at research@charltonmediamail.com. Legal-operating licensed hotel, Rainbow Hotel in Taipei pays extra attention with safety with its fire and emergency facilities certified by the Taipei City Government. In addition, the hotel's spacious environment, all necessities and friendly services meet the needs of international travelers in town for business or for a relaxing vacation. The hotel features a total of 70 stylish yet comfortable guestrooms, each varied in uniqueness but all high in privacy. The affable room ambiance, elegant bedding, ergonomic bath and shower facilities, and soft music, are provided to sooth away your travel weariness and to ensure a pleasant night of sleep. The Gardens Hotel & Residences-St Giles Grand Hotel, is formerly known as The Gardens Hotel & Residences-St Giles Luxury Hotel. Strategically located between Kuala Lumpur and Petaling Jaya and centrally located within the precinct of The Gardens, Mid Valley City. This 5-star Hotel, offers a total of 647 premier accommodations with 448 elegantly furnished guestrooms at The Gardens Hotel and 199 luxuriously spacious fully serviced residences at The Gardens Residences wherein privacy is assured for residents with separate entrances and lobbies. Guest could also hold big celebrations with its 20,000 sq ft ballroom, complementing The Gardens Hotel & Residences-St Giles Grand Hotel Skyview function rooms, with state-of-the-art facilities and pre-function foyers catering for up to 540 persons banquet style is contemporarily designed and equipped with the latest audio visual equipment. The Gardens Hotel & Residences-St Giles Grand Hotel also boasts 9 Skyview function rooms located at the 28th and 29th floors of the hotel, with commanding vistas of the city and fronting the Klang River, and a capacity of 20 to 100 persons. And enjoy a non-smoking environment throughout the rooms and enclosed areas — which bills as the first hotel in Malaysia to offer such feature. ECFA Hotel is a new establishment stylish business hotel, located in the Ximending shopping district. Every suite in Ecfa Hotel is designed with different themes while the decoration design is simple, it is also filled with match bright colors, adding a touch of chic style. Each room offers a good lighting, large LCD TV, and a Japanese-style stone bathtub. InHouse team entered the hospitality industry with the introduction of InHouse Hotel in Ximending. InHouse Hotel offers stunning design, elegance and romance in each individually created room. It boasts as a boutique hotel with a style of their own in unique and recreating the theatre capital of the Taiwanese era. In a comfortable, intimate and welcoming setting to recreate the atmosphere of the 1940's - 1950's. The red exterior mirrors the style of the famous Red House Theatre. Guests are welcomed with innovative use of LED luminescent lighting, plate glass windows and mirrors, vibrant colours, stunning Bidasar Brown marble flooring from India complemented with hand-crafted Baroque style mahogany furniture. Located in the commercial and leisure district of Mid Valley City, Kuala Lumpur, the award winning business hotel in Klang Valley bills to offer comfort, affordability and warm hospitality at business-class standards. The Hotel boasts room inventory of 646 Superior and Deluxe Rooms. The Hotel welcomes guests which bills a stay beyond expectations, complemented with modern room amenities and an appealing environment. For dining, the Hotel has 24 hours Citi Café, located at the Hotel’s lobby, serves a myriad of local and western favourites, as well as regular themed buffets. Annexed to the Citi Café is the Citi Lounge, an ideal spot for relaxation, may it be just for afternoon coffee or evening drinks. Some of its facilities include an internet kiosk, laundry services, valet services, travel & tours arrangement and limousine and taxi rental. 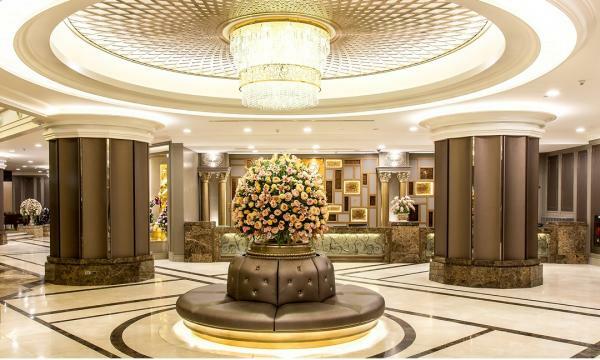 Located in Mongkok in the heart of Kowloon, Royal Plaza Hotel, is a luxury hotel which is only 45 minutes by rail from China as well as the Hong Kong International Airport. The Hotel bills to be elegantly appointed and exceptionally spacious, all guest rooms feature luxurious amenities and broadband internet access. The Hotel offers 699 contemporary designed guest rooms of various sizes. 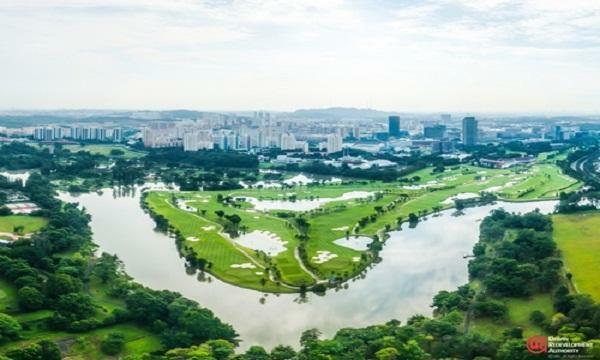 In addition to the unrivalled recreational facilities, the hotel also has three noteworthy restaurants namely Di King Heen, Lion Rock and La Scala. Located only 40 minutes away from Singapore harbourfront center to Batam Island, Indonesia, HARRIS Batam is a spot for holidays with children or business purposes. This Resort, face the Singapore strait with its beach and giant free form swimming pool and spacious guests rooms. Perfect for family holidays or for business purposes. It features 315 fully renovated rooms, theme suites, residences and beach front cabanas. Hotel Puri has two branch in Taiwan. One, is conveniently located beside the Taipei Train Station and Taipei Bus Terminal and another in the center of the famous XimenDing, Commercial, Shopping & Entertainment District. Hotel Puri-Taipei Station Branch is newly renovated and reopened in May 2014. This branch has 43-rooms are styled with simple yet elegance in mind. Its newly renovated 57 well appointed guestrooms with contemporary interior design and stylish in-room amenities provide for both Business and Leisure Travelers with distinctive experiences to savor the ambiance of unique Hotel Puri. Besides, complimentary Internet access from every guestroom allowing you to receive the latest market and updated personal information as well as offers multi-media information area. Other services such as self-service laundry, free coffee/tea maker, cooking facilities and a waiting area for visitors as well. Hotel Puri does provide a 24 hours service for their guests staying with them and also enjoy the most modest rates at a high standard of services. Situated amidst the renowned Bangkok’s fashion and entertainment center, Centre Point Hotel Pratunam, is a contemporary Thai Hotel. The Hotel bills to be a place where you can go shopping, sightseeing, and explore the multi-face of Bangkok lifestyle. A wide variety of restaurants are available within walking distance. Guests can also work out at their fully-equipped fitness center. In-room internet services are also available. More of the Hotel’s facilities include meeting rooms, salt swimming pool, jacuzzi, sauna, reading room, entertainment room and children playground accomplish your living at Centre Point. Centrally located near Kuala Lumpur's bustling Golden Triangle adjacent to Bukit Bintang, Berjaya Times Square and a short distance to Chinatown, Furama Bukit Bintang is also conveniently situated near the main shopping belts of Kuala Lumpur. This 27-storey non-smoking business hotel in Kuala Lumpur, features 433 non-smoking guest rooms with spectacular views of the vibrant capital city. The Hotel’s amenities include a fitness centre and executive lounge. Billed to be one of the world’s largest hotels, First World Hotel, is adjoined to the First World Plaza which boasts 500,000 sq feet of indoor theme park, shopping centre and food galore. The three-star hotel with a total of 6,118 rooms, offers a main entrance of lush, grand tropical rainforest greets guests at followed by a spacious Spanish courtyard lobby. All rooms are comfortably furnished with modern amenities. Some of Hotel features include a casino, theme park, golf club, a space for recreational activities, accommodate conventions and a shopping spot. Standing in the hub of Melaka city is the Hotel Equatorial Melaka which offers the allure of historical Melaka with modern day conveniences, this 5-star 22-storey international business hotel features 496 luxuriously furnished rooms with each room offering a generous view of the Straits of Melaka or historical St. Paul's Hill. The Grand Diamond Plaza Suites Hotel Bangkok, is located on Petchburi Road, with Platinum Mall and Panthip Plaza on either side. Other shopping malls in the nearby area include Siam Paragon, MBK, Central World Plaza, and Siam Square. The Hotel’s 172 luxuriously appointed suites and 4 comfortable penthouses command a spectacular panoramic view of the skyline of metropolitan Bangkok, and the bustling streets of the business district. The interior of the Grand Diamond is an infusion of soft, warm colors, with innovative fittings and classy furnishings. Some of the Hotel’s facilities include a Thai House Massage, fitness centre, outdoor swimming pool and grand diamond plaza. Found in Bangkok's fashion district, Novotel Bangkok Platinum Pratunam is located above Platinum Mall, a few minutes walk from Central World Shopping Center, Siam Square, MBK, Pratunam market and BTS stations. The Hotel features 283 well designed rooms and 3 accessible rooms. The Hotel’s Platinum Lounge, is a spot ideal for a quiet chat with friends, casual meetings or recovering after day's shopping while The Pool Bar, offers a large selection of cocktails, fresh fruit juices and all day snacks; the Pool bar is the perfect place to relax while the sun sinks below Bangkok skyline. The Hotel also has five multi-purpose meeting rooms, free Wifi internet, swimming pool, fitness center and indoor car park. GLOW Pratunam in Bangkok, bills to offer convenience, relaxation and flawless style. Located on top of the five-storey Shibuya 19 Fashion Mall, the 169-room GLOW Pratunam rises above the rest of Bangkok's vibrant shopping district. GLOW Pratunam highlights the five signature GLOW promises: luxurious bedding, a great shower and amenities, free Wi-Fi, a satisfying breakfast, and world-class fitness facilities. The Hotel features include Luna Sky Garden Café, an all-day restaurant, serves breakfast and a wide range of buffet and a la carte options, inside or alfresco. For a relaxed and stylish setting while its Wine Lounge offers a wide selection of wines in the lounge or on the panoramic pool deck. From Baiyoke Group of Hotels, Baiyoke Sky Hotel in Bangkok, soars 88 stories above the Bangkok famous Pratunam. Baiyoke Sky Hotel, offers the dynamic highest views of the city and beyond, while their luxuriously appointed guestrooms offer the ultimate in comfort and serenity. The Bangkok’s tallest luxury hotel is 658 ultra-spacious city hotel rooms and luxury suites with a sleek décor incorporating subtle Asian-inspired touches. The Hotel offers a stay on a Standard, Sky or a choice for a Space Zone, which includes an overlooking the exciting floor-to-ceiling views of cityscape below. It also features a Sky room and a Rainbow Hall, both newly renovated with a cozy atmosphere, the places could make any of your choices; from business conference to theme wedding. Rainbow Hall can accommodate 1,200 persons (Theatre Style) and Sky room can accommodate 250 persons (Theatre Style). As the highest building in Thailand, the Hotel’s 77th floor offers an observatory deck, an extra option to the observation deck is the revolving viewpoint at the 84th floor from where you have a marvelous view over the city and you can even see as far as the Gulf of Thailand. Facing the sea, Harris Hotel Batam Center boasts with the Hotel’s convenience like it is only a minute away from Batam Center International Ferry terminal, walking distance to shopping mall and to Government offices. The Hotel in Batam Center allows you to choose from their 171 rooms and suites. Some of the hotel features include a 24-hour room service, a spot to eat at the on-site Harris Café where Dino, the hotel mascot, dances along with the Harris Players during mealtimes. Located above Hatten Square is Hatten Hotel, a 22 tower high Company Class Hotel conveniently situated right inside the heart of the city and also the UNESCO Historical and Heritage web-sites in addition to buying and key corporations all inside close proximity. The 4 star small business hotel, has an outdoor swimming pool and bar, a restaurant and elegant suites. The Hotel rooms are mostly comfortable and spacious, offering breathtaking variety of Malacca and the Straits of Malacca views. These are based on pastel colors and modern aesthetic design, inspired by the philosophy of family life. The rooms have adopted the innovative elements, relaxing “Rain” and “hand” shower equipment, special flexible work space, free high-speed access and in-room safes. Some of its facilities include steam room, pool bar, outdoor swimming pool, multifunctional meeting rooms, audio-visual equipment and a room and access for persons with disabilities. KSL Hotel & Resort in Johor Bahru, is the newest and bills to be the largest integrated resort in Johor, Malaysia. Located in the city centre and near the causeway, the Hotel is within reach of the shopping mall. The hotel features 868 rooms and suites with luxury interior and a first class facility. Enjoy a culinary adventure with their Infusion Café I Restaurant, chill with their Twilight Lounge & Bar which serve afternoon snacks and tea while you will be entertained by live music. Some of its facilities are mission golf, games room, gymnasium, rooftop pool, sauna, water theme park and cineplex. Located in the heart of Bangkok’s most vibrant and famous shopping area, The Berkeley Hotel Pratunam in Thailand is newest hotel in the city center. The Berkeley Hotel Pratunam, is the Bangkok’s latest full-service luxury hotel. The Hotel offers a modern design with functional and comfortable in Bangkok cityscape view. Enjoy your stay with their 788 guestrooms including 82 luxury comer suites and 55 Premier Family rooms. Aside from hotel’s full-service restaurant and bars, it also has a huge multi-function area which bills as South-east Asia’s largest combined hotel ballroom and event facility and capable up to accommodate 2,000 guests.